On 25-26th April 2017 a seminar by (Mr. Raid Abbas Mzury) and first lieutenant (Mr. Lud Naqby) in directorate of soran civil defiance was presented, about the preservation and controlling the fair inside buildings. 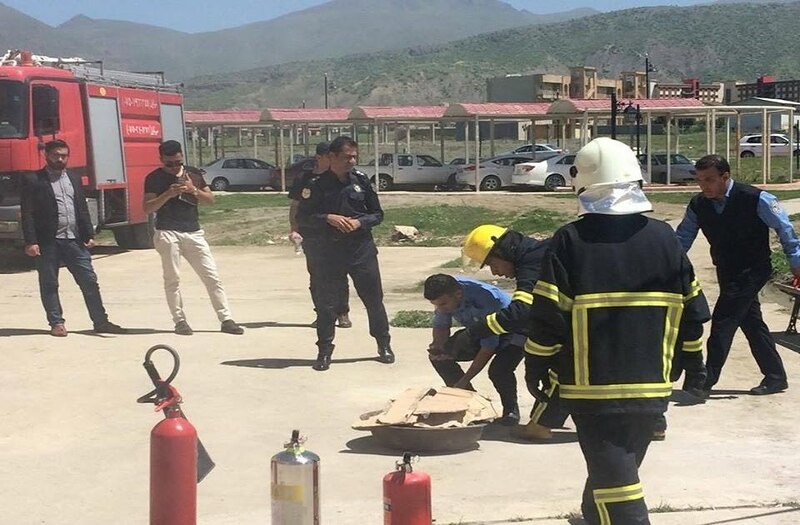 In case of sudden accidents, the students have been taught the theories and the practices about how to use firefighter tools. In the name of the faculty we thank the named people.